For World War II veterans and many others, June 6th, 1944 – D-Day – history’s biggest amphibious invasion, will never be forgotten. The action that day established a foothold in France – an event that would eventually help bring the war to an end. The Allied landings on Normandy marked the start of France’s liberation from Nazi occupation, and ultimately led to Germany’s defeat. 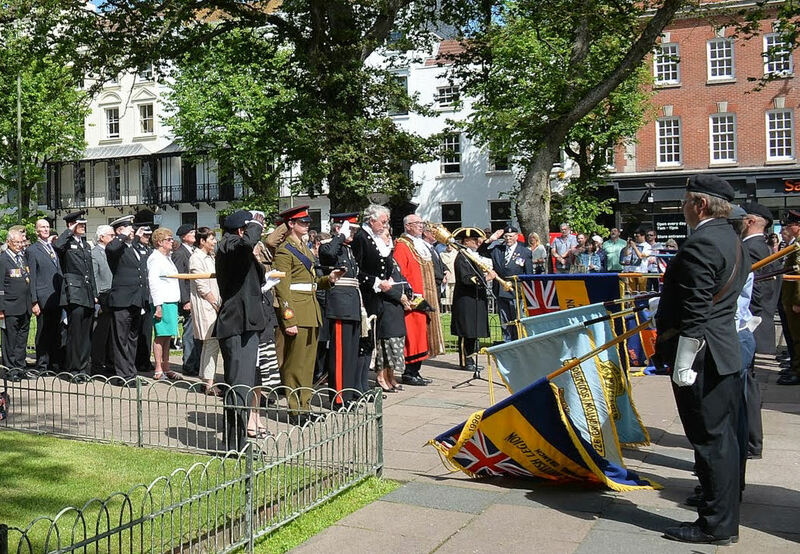 At the War Memorial in the Old Steine, the 70th anniversary of this momentous day was marked by a ceremony paying tribute to the 150,000 Allied troops who risked and lost their lives in the D-Day landings in Nazi-occupied France. The ceremony was attended by the Mayor and Mayoress of Brighton and Hove, Councillor Brian Fitch and Mrs Norah Fitch; The Lord Lieutenant of East Sussex, Mr Peter Field, The High Sheriff of East Sussex, Mr Chris Gebbie, WWII veterans and representatives from local groups and parties. Wasn’t it fabulous to see and hear all the tributes on the television and radio on the 6th June? It was all very moving to see the veterans and hear their stories.